Global life sciences heavyweight AstraZeneca and its Cambridge subsidiary MedImmune have joined the A-list sponsors line-up for the 25th Anniversary Business Weekly Awards. They are backing a new Life Science Innovation Award for the East of England company, organisation or individual that has done most to further the cause of life science discovery for the benefit of human healthcare in the last 12 months. The support of AstraZeneca and MedImmune is part of a broader partnership with Business Weekly designed to promote life science discovery from the company’s new Cambridge mother ship. AZ staff are already moving into the region from London and the North West and the new corporate HQ and R & D hothouse at Cambridge Biomedical Campus will be complete in 2016 to house 2,000 staff – including some 500 MedImmune scientists relocating from Granta Park. AZ teams are currently working out of three temporary Cambridge venues ahead of the 2016 gathering of the clans. 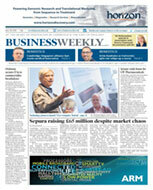 Judge Business School has entered into a similar partnership with Business Weekly. Its entrepreneurial arm CfEL, already backs the Cambridge Graduate Business of the Year Award but Judge is ramping up its programmes and global outreach and the Awards arm is one element of an ongoing awareness alliance. • Startup of the Year - for the most exciting startup enterprise in any sector founded in the last 12 months. • Cambridge Graduate Business of the Year - for the most commercially successful Cambridge University spin-out. • Engineering Excellence - for the engineering or manufacturing company that is deemed by the judges to have done most for the cause of industry in the preceding 12 months. • KillerTechnology Champion – for the company in any technology sector whose product is deemed to be genuinely game changing. This will encompass biotech, wireless, software & ICT, CleanTech and Agri-Tech. • International Trade Champion - for the business that has done most in the last 12 months to broaden markets and export sales. • Life Science Innovation – for the company, organisation or individual that has done most to further the cause of life science discovery for the benefit of human healthcare. • Cambridge Torchbearer Award – for the entrepreneur considered to have done most to further the cause of Cambridge on a global stage in the 25 years of the Business Weekly Awards. • Business of the Year – for the standout business chosen from all categories that judges decide carries a real wow factor. 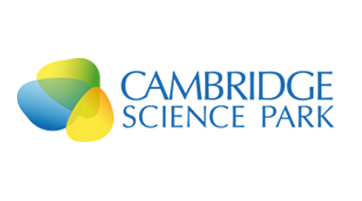 The sponsors are Mills & Reeve (lead sponsor); AstraZeneca/MedImmune; Barclays; PwC; TTP; Judge Business School; St Johns Innovation Centre; Cambridge Research Park and Haverhill Research Park. 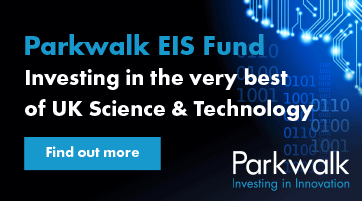 Sir Michael Marshall and Dr Hermann Hauser, two of the long-term Awards judges, said that any investor that had backed past winners would have made a tidy return. Four companies have each won the Awards twice – Pi Group, the inventor of formula One telemetry – Domino, the world-leading inkjet technology business, wireless pioneer CSR and superchip designer ARM. Xaar plc is the reigning champion and the category winners down the years reflect sensational and still-growing companies that have made the region so crucial to the UK economy – among them Johnson Matthey, British Sugar, the Port of Felixstowe and Ryanair.